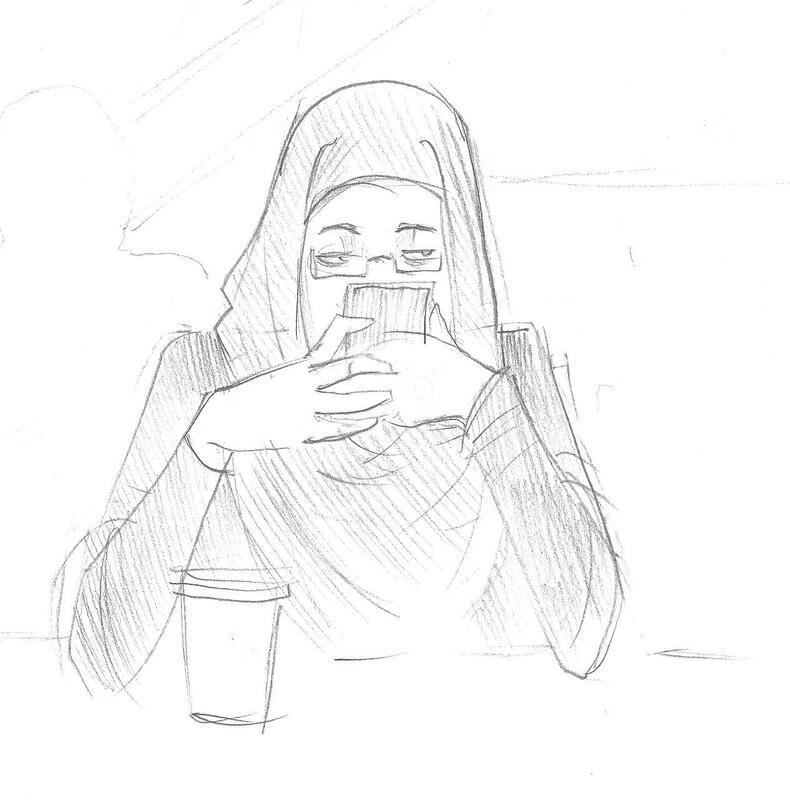 A girl in a hijab I saw texting at a coffee shop. She was so pretty and had such elegant lines that I found myself in a good mood for the rest of the evening. Despite what looks like an annoyed expression, I don’t think she noticed me drawing her. . . .
A little smudgy. 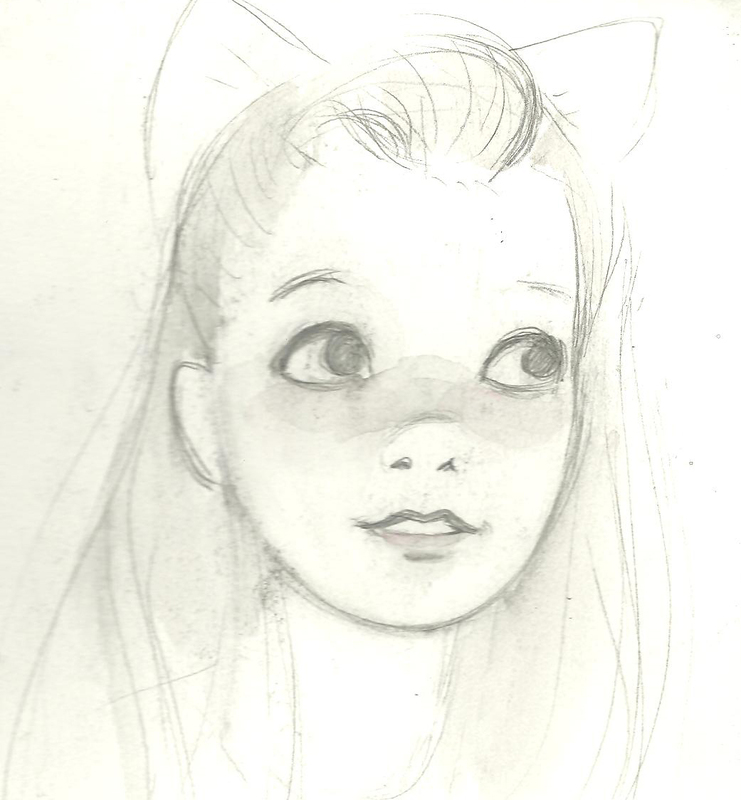 but I’m happy with how this one turned out, despite the fact that she looks way younger than I intended.